Digital Analyst has failed to use Digital Analytics Solutions. There is a lack of talent in the Digital Analysis Solutions. Companies are lacking behind due to insufficient Digital Analysts. If you want to work in the marketing field by analyzing the data, you need to have a professional guidance with the analytic skills. This will help you make a perfect and effective strategy in the campaigns. According to a source, there will be more than 4 Million opportunities in the Big Data but will be occupied by 1/3 rd . This will definitely cause a challenge for many industries. Digital Analytics is moving towards the Big Data and for this reason, there is an increase in mobile data, website data, product and services data, and more. So this creates a huge challenge that can be taken care of two options. Companies can use the organic way of Digital Marketing across all the sectors that will strengthen the marketing platform. For this, they need to invest in the content marketing team and SEO team. 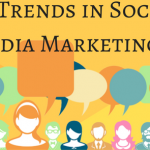 They will create a better marketing system with the important and trending keywords. This will be the future of Data Analytics. 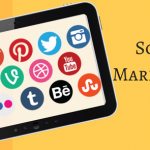 Companies can use the paid marketing tools which will create campaigns through Social Media and AdWords to take the marketing to the next stage. As these campaigns grow and become more advanced, Big Data and Data Analytics also grow to adjust the demand. The sophisticated data will have larger campaigns and that is why we need someone with excellent and deep knowledge of Digital Marketing. A learned person will have proper strategic plans. 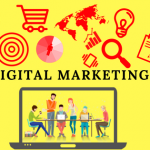 Digital Marketing and its plans need four steps as defining the analytics metrics, then developing a plan, then collecting the data, and lastly creates a reporting system for features and capabilities that were analyzed and implemented. And for this reason, Digital Analytics will be the reason for companies to grow in the coming years. And that is why a proper marketing is needed to use this Analytics. In order to make an effective and a perfect analytics plan, you need to hire employees who love analytics and its tool, and also, getting the important data from the insights. Companies are lacking behind taking advantage of them who are unaware of the importance of Digital Analytics and Big Data. They can be small organization and even bigger organization. They may fail to understand its importance about the need to implement Data Analytics Solutions and invest their time and money in the traditional market. Basically, the first step is to hire someone. And the second step is to have enough budgets for the expenditure. Money is also an important part when it comes to paid marketing. Some of the companies have come forward to say that they have invested less in their marketing strategy. A good investment i required for a good profit in the company. It will increase the business against the competitors with using important Digital Analytics platforms. You then should create key performance indicators (KPI) for strategies for attracting customer and their engagement, conversion, etc. 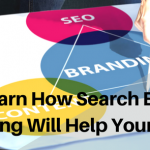 In order to increase your brand awareness by attracting customers, visitors to the website, you need to hire someone with the required skills. You need to focus on both unpaid and paid marketing in Digital Marketing with proper use of analytics. You shouldn’t focus on only one part of the marketing. There must be a good balanced between them. Companies must keep a proper goal that will make them successful with Digital Marketing. For a perfect strategy, the companies need to analyze their marketing strategy daily and regularly. 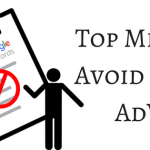 This must be done to see the success or failure of their campaigns in both Social Media and AdWords. You need to see SEO features by using important tools to check backlinks, page speed, Page Rank, Page Authority, etc. All these features are important and need to learn by any passionate individual. Therefore, companies need them. The other important thing is to make an actual understanding report on the analyzed data. Analyzed data must be understood and it must be explained in a simple manner to the company heads or manager. A proper understanding of a data will help you make better decisions. It will be beneficial for the company and its business. Therefore analyzing the Digital Analytics is important and to use Digital Marketing to do show the data and its effects on the company are important. Digital Analytics and Digital Marketing are important to build a perfect business for the company. 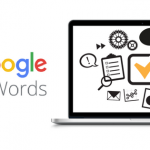 Next: Why should any Business use AdWords?